Well as I've finally got the rocks sorted out, I decided it's time to start the journal for the Rekord 60 I got from Ade a couple of months ago. The fish will be 3 or 4 Lamprologus Meleagris. I've only ever found them in one shop of all the ones I've looked at that have listed fish online, and it's only 30 minutes away. 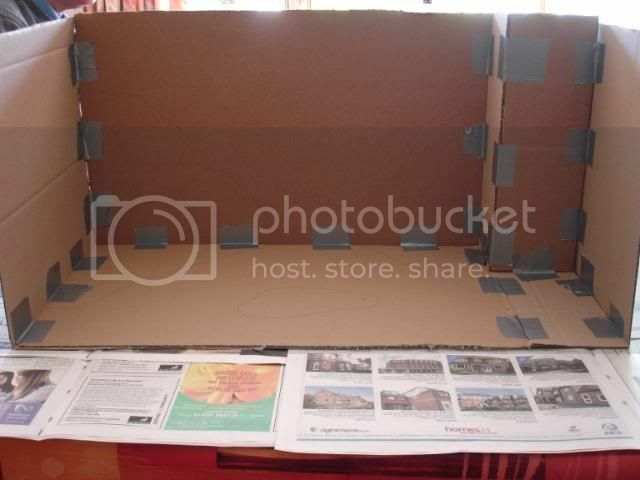 To aid with designing and siliconing of the rocks, I've made a cardboard tank, complete with filter box. 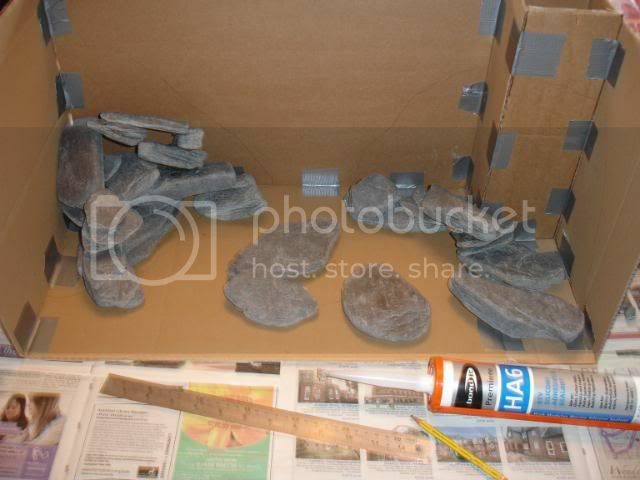 This means that I can easily arrange the rocks, and I won't end up getting silicone smears everywhere in the tank. 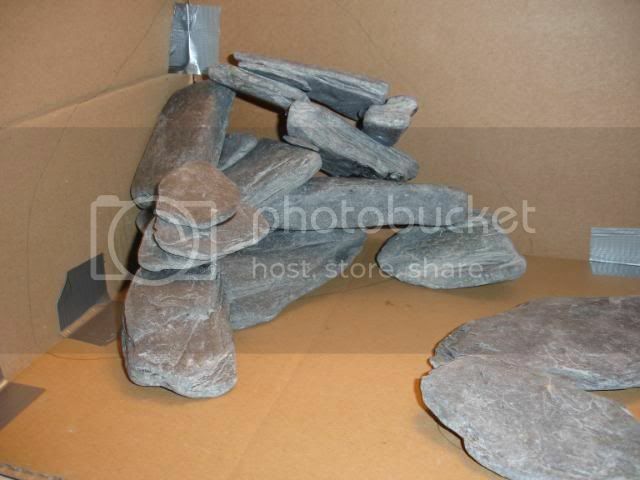 I managed to find a bag of rocks in a garden centre, that have turned out to be just about perfect. It seems to be a rounded slate, which makes it nice and easy to stick together. Of course, no shell dweller tank would be complete without shells! 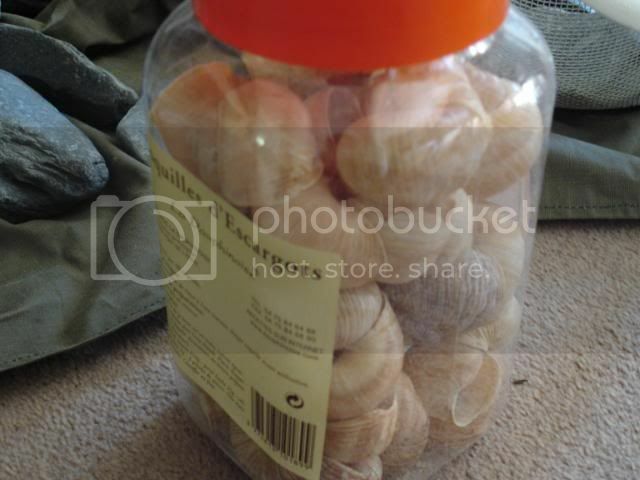 I bought this tub of Escarogot shells a while ago, from France on ebay. 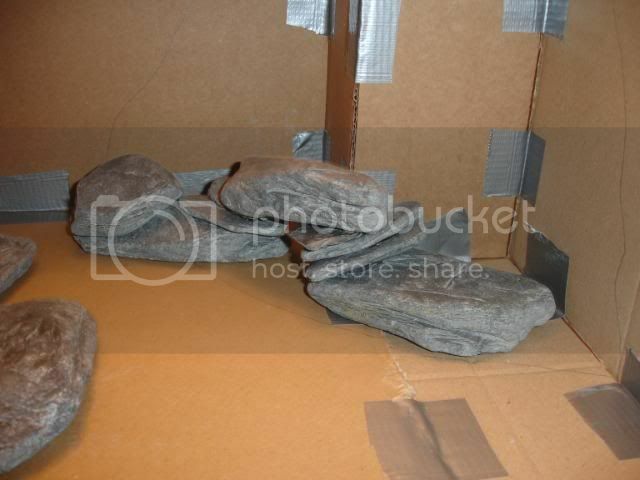 I've started laying out the rocks, and siliconing the first ones together (ignore the rocks in the front of the box, they were just staying there whilst I was sticking them). The centre piece, which will go near the front. I've ordered 20kg of coral sand, so hopefully that should arrive in the next few days, and once I've stuck some more rocks onto the piles, I can start cycling the tank. making me want to change all my tank now????? Last edited by damselfish on Mon Mar 07, 2011 2:27 am, edited 1 time in total. I've been getting that feeling too Damselfish. It'll have to wait a few years before I have the tank space though I think! I've pretty much finished sticking the rocks together, just a few more to put on, but it won't change it much. Hopefully the coral sand will arrive soon! 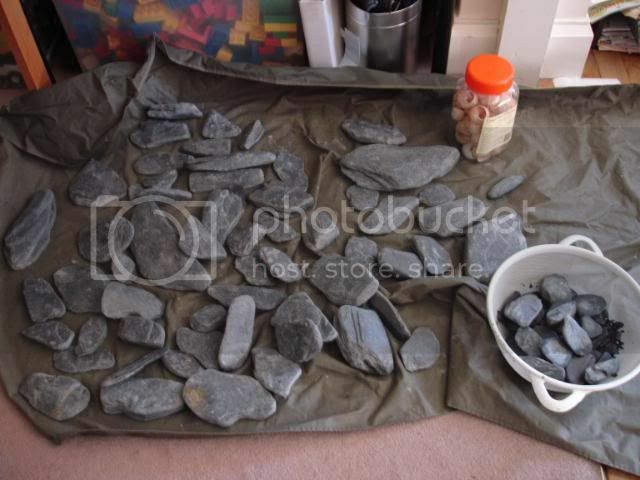 I've just stuck the final rocks on, a few more to the left hand pile, and one on the right hand one, so after 48 hours I think it is, the silicone will have cured, and it can go in the tank, with the sand that will hopefully have arrived. Talking of the tank, I need to swapt the background over, so it's black rather than blue. 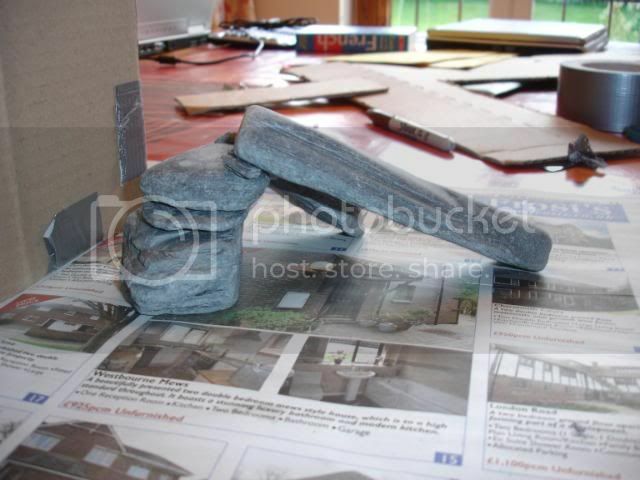 are you going to do a 'blue peter job' on that...just like Ali has done here? 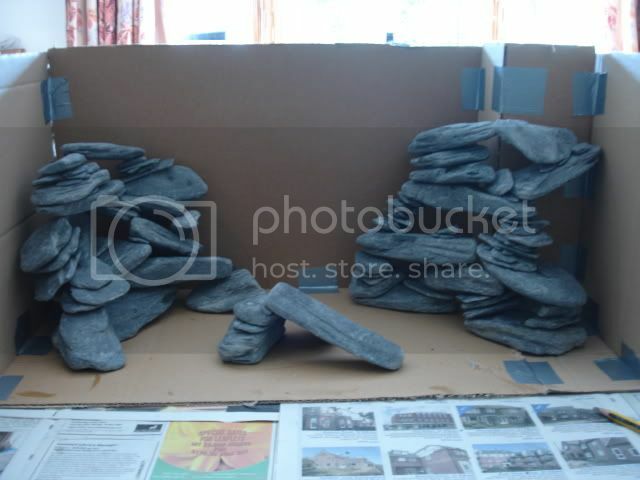 Nice idea and the rock formations are looking great. Also you know that they are stable otherwise they would have damaged your template sides. We will send you a confirmation email when your order is dispatched and apologise for any inconvenience caused. Grrrr, why didn't they say on their website that they were out of stock. It won't be 1-2 days, it'll be at least Tuesday before they get it in, so at least Wendesday before I get it. ...Silly bank holidays, they always come at the wrong times. I'd give them a ring and find out what their best estimate for a delivery date is Alistair. Those automated restocking messages aren't always right. was looking forward to them. phone them and tell them damselfish!!!!! 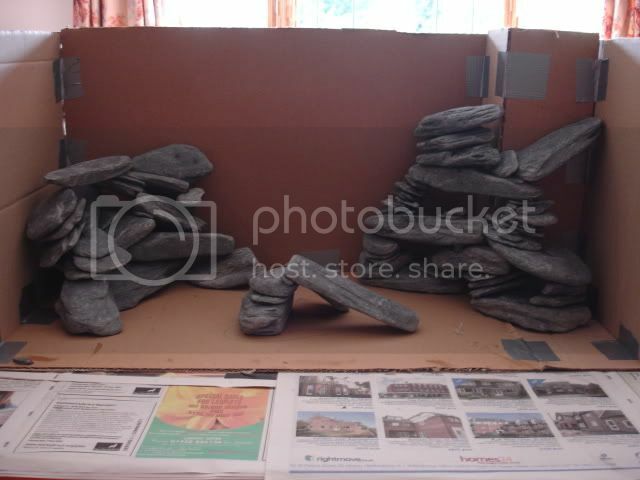 Not quite that long, here's another one, of the finished rocks. I've stuck some putty onto the back of a few of them, as they were a bit wobbly, but once that's dried they'll be nice and solid again. I won't ring the shop, as it'll come when it comes, and I'm in no particular rush. Exactly how do plan on putting the rocks in the tank? Are they that solid that you can pick up each pile with out they falling apart? What did you use to glue them? I made sure that each rock fitted the space it was going in, roughly. I then used big blobs of silicone to secure them in place, and left that to cure. This morning I tested it to see if I could lift it, and I could, though a few joints were wobbly, so I reinforced them with the putty, which is harder than silicone, so they can't wobble anymore. As the tank's hood comes off, I can just lower each pile into place. I've been thinking about the sand, and as they're still showing on their website they've got it in stock, they might order it in every time someone orders it. I'm not in too much of a hurry, I wouldn't have had time to do anything with it, as I need to practise for my French oral exam which is next week.